Can Chia Seeds Help You Run Longer and Faster? Can Chia Seeds Help You Run Longer and Faster? 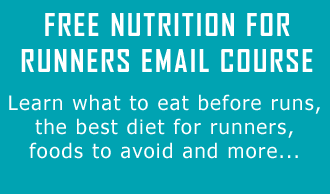 Runners Connect » » Nutrition Articles Can Chia Seeds Help You Run Longer and Faster? Can Chia Seeds Help You Run Longer and Faster? Chia seeds are one of the newest movements in the heath food market. You can find them in everything from energy bars and beverages to crackers and soups. Many of the health conscious, endurance nutrition companies such as, Vega Sport, Bonk Breakers, and Now Energy Bars are adding Chia seeds to their products. As such, it’s not surprising that you have questions about the hype behind these little seeds and if they something you should be including in your daily nutrition routine to improve your running? In this article, we’ll provide you with the history, latest research, and nutritional benefits of chia seeds – as well as few delicious recipes to whet your appetite. What’s the story behind Chia Seeds? Chia seeds are derived from the desert plant Salvia hispanica. Historical documents suggest that chia seeds have been a significant part of the diets of the natives of Central America and Mexico since 2,600 B.C. These seeds were often referred to as “the running food”. It is rumored that the warriors of the native people in these regions would mix Chia seeds and water to maintain energy levels and stay hydrated during conquests. According to history, the Tarahumara people, located in the northwestern part of Mexico, are renowned for their long distance running abilities. Tarahumara means “those who run fast”. With their settlements dispersed across the land, they developed a tradition of running 200 miles over the course of a couple days to get from one settlement to the next. It is also said that before running they would drink a mix called iskiate. Iskaite is simply water mixed with chia seeds. This combination was thought to give them stamina and hydration for their long journey of running from settlement to settlement. What is the current research? While the history regarding the use of chia seeds is interesting to read, the promise of amazing results comes from word of mouth. So, what does today’s research on the benefits of chia seeds say? One study, published by the Journal of Strength and Conditioning, found that a combination of 50% calories from chia seeds and 50% calories from Gatorade works just as well as 100% calories from Gatorade in training sessions greater than 90 minutes. The most interesting thing about this discovery is the half chia seeds, half gatorade mix had the exact same results, but offered a larger nutritional boost thanks to additional Omega 3 fatty acid consumption and 50% less sugar than the full Gatorade solution, thus cutting down on calories and boosting nutritional intake. A study performed at the University of Toronto involving individuals with type 2 diabetes found that after 12 weeks of patients consuming 37 grams of chia seeds daily, the patients experienced a decrease in their blood pressure, inflammation, and blood sugar regulation. There is a significant amount of research that supports the consumption of Chia seeds for improved general health. The endurance-training field is still young, but at this point,, consumption of chia seeds is pointing in a positive direction when it comes to performance enhancement. One tablespoon of Chia seeds, or about 12 grams, contains 2.1 grams of ALA, 4 grams of fiber, 2 grams of protein and 58 calories. ALA (alpha-linolenic acid) is a plant base for of omega-3 fatty acids. The daily recommendation of ALA is 1.6 grams for men and 1.1 grams for women. ALA is an antioxidant that is essential to energy production in the body. As a runner, keeping your energy levels high is absolutely necessary, and getting your nutrition from a food source that your body knows how to break down naturally is preferable. Consuming a single tablespoon of chia seeds a day will help your body utilize the food you consume more efficiently. Now, it is important to note that high levels of ALA are not dangerous. When you are putting as much stress on your body as runners do, the higher levels of ALA will only help reduce inflammation. Chia seeds are virtually flavorless. They can be added to just about anything. Try tossing them in yogurt or cottage cheese, a vegetable salad or put some in your smoothies. Most of the time you won’t even notice them. To help expand your use of chia seeds, here are a few recipes to try. Stir chia seeds into tea for about 10 minutes, and enjoy. Processes all ingredients in a high powered blender and liquefy. Pour into ice-cube or popsicle molds, and freeze. Chia seeds offer runners a healthy fuel for stamina and endurance, as well as anti inflammatory and antioxidant properties. Give these recipes that include chia seeds a try before your next run and see if they take your farther. Post your experience with chia seeds or share your own recipes in the comments section below! “Chia – Basic Facts.” Chia – Basic Facts. Web. 30 May 2012..”Chia Seed May Help Prevent Diabetes and Cardiovascular Disease.” Free Press Release Distribution Service. Web. 30 May 2012. Gardener, Robin. “New Study Explores Health Benefits of Chia Seeds.” Independent Tribune. 2010. Web. 30 May 2012..
Illian, Travis. “Omega 3 Chia Seed Loading as a Means of Carbohydrate Loading :.”Journal of Strength & Conditioning. Omega 3 Chia Seed Loading as a Means of Carbohydrate Loading :. Web. 30 May 2012. It should be noted that a negative side effect of chia seeds exist in the form of gastrointestinal issues. I tried adding iskiate and chia seeds to my diet, but experienced very painful gas in my belly. I mean doubling over pain in my stomach that lasted for hours. I’ve read it is a possible side effect, and I definitely experienced it. Everything affects everybody differently, and I definitely experienced this side effect. Greg! I’m so sorry to hear you experienced GI issues when you ate chia seeds! You are absolutely correct about everyone being different, that is the tricky thing about nutrition. I don’t believe there is a single food on this planet that everyone can eat! Your comment does bring up a great point on adding foods into your diet that you have never tried. Always add slowly, consider consuming half the suggested amount when you are first trying a food, or eat the new food only once the first week to make sure you don’t experience any negative side effects. Some people have trouble with fiber. Whole chia seed affects me in a similar way. I switched to milled chia seed and it works wonders for me. Hello, I sell Chia Seeds and do know that if you do not drink enough water while using chia seeds it will give you pain in your abdomen. This has happened to me. I did increase my water intake and have been fine since. I do not want to give up chia, it has helped me dramatically with inflammation. Don’t give up on the seed just lower your dose of chia and increase water. thank you for your info on chia seeds.it certainly has helped me to know to lower my dose so I can continue taking it in juice every morning thanks. The issue with stomach issues if probably related to eating too much chia and not taking in sufficient liquid. As chia is very hydrophylic it absorbs a lot of liquid. This can pull it from the stomach leading to the issues you describe. Just got Chia seeds in the mail last night. Anxious to see how my body reacts to them. Sprinkled them on dinner last night and in my oatmeal this morning. I feel faster already! First I mix the chia seeds, milk and vanilla together and let them sit for about 10 minutes. Stirring occasionally. Once I get a pudding like texture I top with coconut flakes and berry slices. If I really want to boost the antioxidant load of the sundae, I add a few carob nibs! This recipe is so easy and can be modified to fit anyones preferences! Thanks Abby, I didn’t know chia seeds gave endurance for running. Will have to try them. In most stories on chia seeds it is being stated that the ancient Aztecs and Mayans were able to walk days and week as a messenger just on chia seeds, but it is important to note that this heavy running was mostly done on chewing coca leaves which is done until today. Nevertheless, chia seeds are truely a superfood with lots of fibers and omega 3 & 6. I have been “on chia seeds”, mixed with ground flax, for ten days now. I didn’t run a race but I always note my training times. Two days ago I ran a 17k PB and today a 6k SB. It’s amazing, My legs used to feel heavy, sluggish and suddenly I seem to have more energy. Should you eat the chia seeds before or after workouts? I believe you are talking about Flax Seeds, not Chia. I often eat 3 tablespoons a day of Chia with no ill effects, only more energy. I will be 69 on August 15. Hi Joe, we are talking about Chia, but this is just a general recommendation. Individuals will have different tolerances, so if it works for you, keep it up! I have just bought some Chia seeds. Using a general recommendation of 1 table spoon per cup of water. They have a rather sweet/nutty mild flavor. I hesitate to say miracle food, but at the same time anything that has plenty of omega 3’s in it should be pretty helpful. Took some just yesterday for the first time and curiously within probably 30 minutes I felt a lot more mentally alert, have similar experiences when I eat beef heart, and got through some things with better overall energy levels. So I’m not sure exactly what will occur, but I will try it for a bit and see how it does. Hi Adam, thanks for sharing your thoughts on Chia seeds. That is great you noticed changes so quickly. If it works for you, then it is definitely worth a try! Been on Chia for a little bit. I have noticed that even if I don’t consume it on the day of running I tend to have better energy, I consume it about once a day with a good whole grain cereal, and can tackle a big old hill in the area I live. Some of that is doubtless based on training since I had just introduced the hill, but I have noticed a difference in recovery times between running sessions. Interesting to note that my last 5k was a month ago in a hilly are was 26:31 not great, but not bad and in a month I have run the same course 6 times roughly and the time has decreased to 24 minutes give or take a few seconds. Some of that again probably has to do with beginner ability to gain on a program, but the training has been essentially run 45 minutes one week with the course once in the same week, twice the next week and the week after run the hilly course once with an hour of jogging on an indoor track. I timed myself this past Monday and the race is Saturday. I am at about 4,865 feet. So all told I do not think Chia is some incredible food that solves all problems, but I will submit that consumption of it on a daily basis seems to have had a good effect on me and helped me recover a little faster from training than in the past. I will keep it in my diet for as long as I am able and will post again in a bit. Hi Adam, thanks for sharing. Glad you have found the improvements, especially within recovery. Keep up the good work, and yes, please let us know how you continue to get on! Hi Jane, thanks for reaching out. We did actually talk about the omega-3s in this post, not sure if you missed it, but thanks for the suggestion for the other site. Some of our readers will be eager to learn more.